← Acocks Green Carnival 2nd July – All the Info! 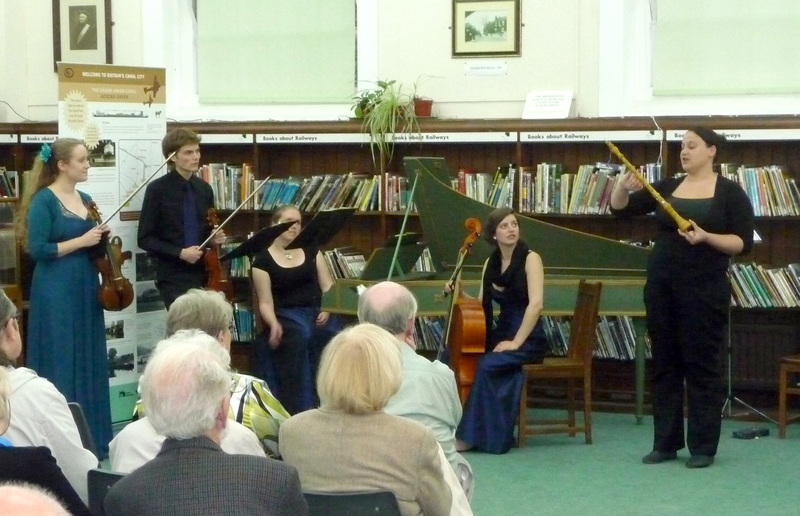 Local people were delighted by an evening of Baroque music at Acocks Green Library on 11th May. 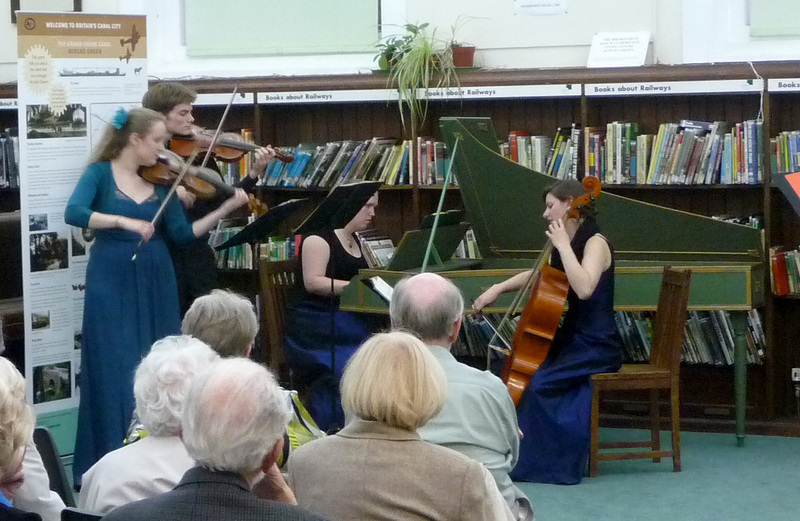 Consort Pléon are a group of music graduates from Birmingham Conservatoire who play with authentic Baroque instruments. Sharon Reading-Firth plays Baroque Oboe, Maria Larsson & Rens Claerhoudt Baroque violins, Lucia Capellaro Baroque cello and Sara Willander accompanied all the musicans on harpsicord. The group peformed a selection of sonatas by the composers Handel and Corelli and completed the programme with Albiononi’s Concerto for Oboe and Strings in D Minor. The musicians also explained the difference between their Baroque instruments and their modern day versions, as well as the way in which the music would have been performed at the time. The well-supported and much-appreciated musical evenings are part of the programme known as Swansong, organised by recently retired librarian Mike Byrne. The next scheduled Swansong Evening is Warley Male Voice Choir, back by popular demand, who will perform in the library on Wed 27th July, tickets are free and available from the library. A collection is made at the end of the evening. This entry was posted in Events and tagged Acocks Green, Acocks Green Library, Baroque, baroque oboe, baroque violin, Consort Pléon, harpsicord, Lucia Capellaro, Maria Larsson, Mike Byrne, Rens Claerhoudt, Sara Wilander, Sharon Reading-Firth, Swansong. Bookmark the permalink.